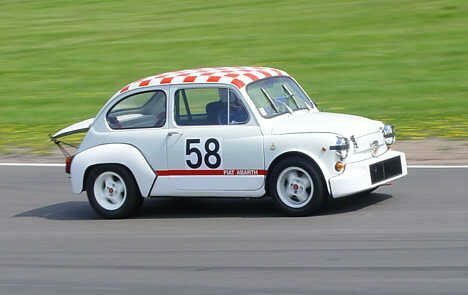 Fiat Abarth 1000 TC Replica. Historic racecar with license plates (original black plates). The car has been raced in Denmark and Sweden for the last 13 years and has participated in the Danish Championship in the class for cars before 1972 / 0 - 1000 ccm. The car has FIA Homoligation Number 1486 Gr. 2. The car is in mint condition and is ready to race. Engine and close rate gearbox is renovated.